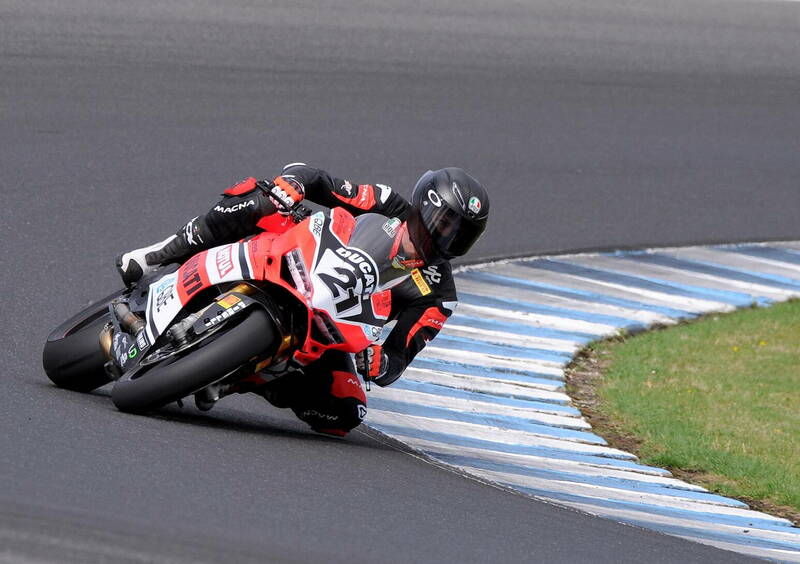 Bayliss training for his Australian Superbike opener. Photo courtesy of Troy Bayliss Facebook page. As we reported in December, former WSB champ Troy Bayliss is coming out of retirement to contest the Australian Superbike Championship. His first race is the week of February 23 through 25 at Phillip Island, where his first round will be conducted the same weekend as the opener for the 2018 WSB series at the same venue. Proof that you age quicker when you’re not riding. I bet Troy will be looking ten years younger after a few races. Someone get CEII over there as well! Just listening to Bayliss speak makes me grin from ear to ear. This is awesome. Best of luck. Troy was fast, as was demonstrated by his GP performance as a sub. I’d expect he’d perform well here too. And his 14 year old son racing racing Australian supersport 300 at age 14, is why Americans don’t often succeed on the world stage, many consider that simply too dangerous for a teen here. Good luck Mr. Bayliss. The mass majority of Americans (probably +99%) don’t give a rat’s hiney about MotoGP. There is no interest here at all in motorcycle racing. Now football, that’s another story as Americans are practically obsessed with the sport. It’s a cultural thing and I don’t see that it’s ever going to change. Very sad situation. There’s more to motorcycle racing than just Motogp. That’s true. There are many different types of motorcycle racing Americans don’t give a rat’s hiney about. Any country will have 10 kids motocrossing for one kid roadracing, even Spain. Often 100 or 1000 times more. Some of these kids will find their way to road racing eventually.